No doubt you’ve heard that the 2016 Nissan Pathfinder gives drivers awesome performance specs, with ample horsepower and a high level of fuel efficiency. At the same time, you probably already know that the Pathfinder is outfitted with a bevy of exciting technologies to keep you and your passengers entertained and informed, as well as a slew of safety devices meant to ensure your protection on the open road. Yet there’s more: the Pathfinder also comes in a huge range of affordable trims—six in total—that make available a range of perks. Let’s explore the details. Starting at $29,830, the S is powered by a 3.5L V6 engine that gets 260 hp and features 18-inch aluminum wheels, an Advanced Drive-Assist display, Tri-Zone Automatic Temperature Control, and an EZ Flex Seating System. Entering the market at $33,150, the SV runs on the same engine as the S and includes its features, but it also comes with a RearView Monitor, Remote Engine Start System, a Bluetooth Hands-free Phone System, and a Nissan Intelligent Key. Priced at $36,410, the SL includes all the SV’s features as well as a 120-volt AC power outlet, power liftgate, and leather-appointed seats in the front and second row seats. Available for $38,440, the SL Tech comes with a Nissan Navigation system, an Around View Monitor, and BOSE audio, but it also features a tow-hitch receiver with a 7-pin wiring harness. Starting at $39,740, the Premium adds on to the SL’s features with Nissan navigation System, Around View Monitor, a dual panorama moonroof, and a superb Bose audio system. Priced at $41,610, the Platinum comes with 20-inch aluminum-alloy wheels, a dual panorama moonroof, and climate-controlled front seats. Explore the Nissan Pathfinder’s Trims Today! Here’s the thing: you can take the Pathfinder out for a test drive yourself by visiting our Sorg Nissan dealership anytime. Find us at 2845 N Detroit St in Warsaw, or give us a call at 574-267-5850, and we’ll have you out on the road in no time. On the other hand, you can always complete this easy-to-use online form and have your questions answered in a jiffy. 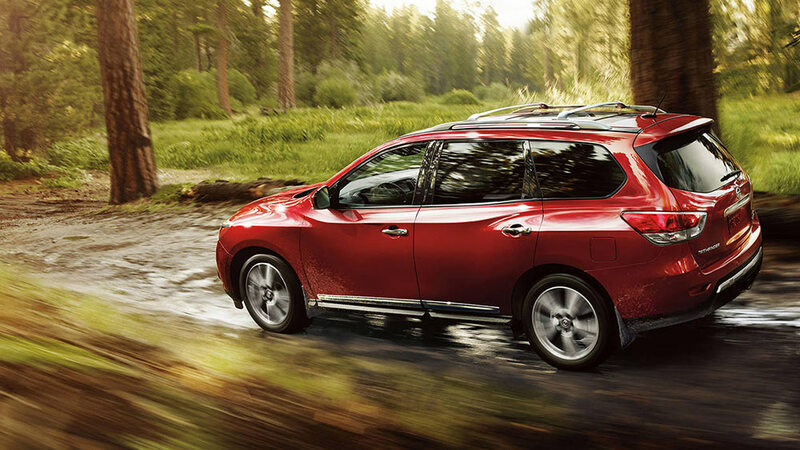 Don’t wait: visit Sorg Nissan today to try out the Pathfinder’s exciting new trim levels!